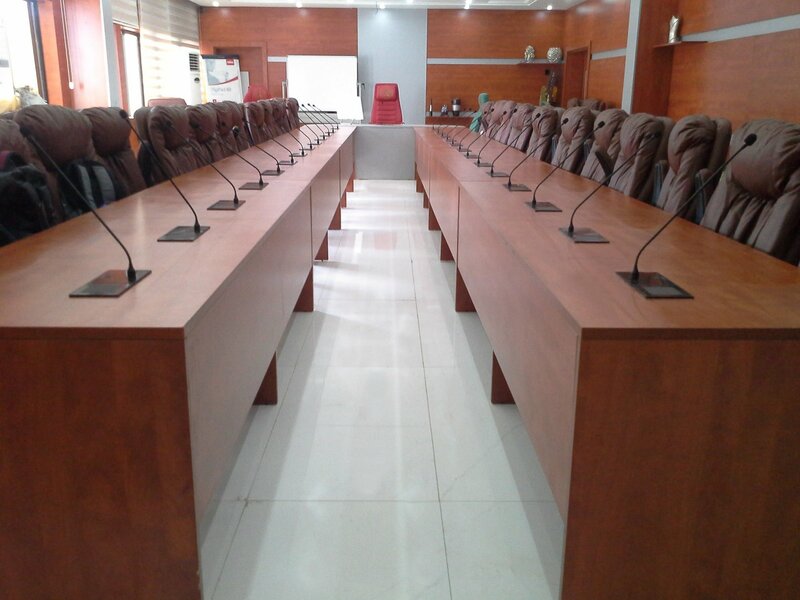 The Executive Council Chambers of the Abia State Government, located at the Government House in Umuahia, was renovated in 2015, a few months after the new Governor assumed office. Before the renovation took place, the meetings held there had to be carried out without a conference system. In order to facilitate the work of the Executive Council, the decision was made during the renovation work, to invest in a conference system that would improve intelligibility and order, as well as aid the efficiency of meetings. 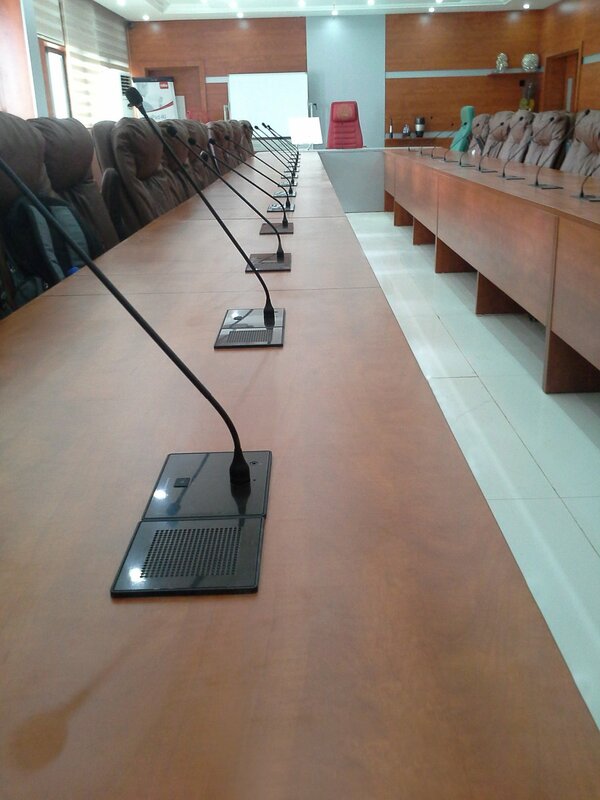 Headed by the Governor of Abia State, the Executive Council was on the lookout for a reliable, state-of-the-art wired system that would not require the microphone units to be charged and could, therefore, be easily and conveniently used during long meetings. The Orbis digital wired conference system by beyerdynamic was the ideal solution: it reliably ensures power and data supply, not only thanks to the redundant operating modes the system offers. Easy-to-feel buttons with tactile feedback and Braille, and a headphone connection for assisted listening were the additional advantages that spoke for the Orbis system with particular regard to accessibility. Apart from these important requirements that had to be met, there were further reasons why the Orbis wired conference system was deemed to be the ideal choice. The customers were impressed by the quality of the product “Made in Germany”, as well as its sophisticated operating system. ‘’The fact that the system could be integrated into the conference table also played an important role’’, said Julian Madu, Sales & Marketing Manager of Acti-Tech Ltd, beyerdynamic authorized distributor in Nigeria, who were responsible for realizing the project: Orbis MU 43/41 microphone units were built into the conference tables. The pleasing look of the system blended in perfectly with the furnishing of the room, without compromising functionality. A further benefit of this integration is the invisibility of the cables. Last but not least, the government’s decision was made easier by recommendations from other Nigerian beyerdynamic customers.